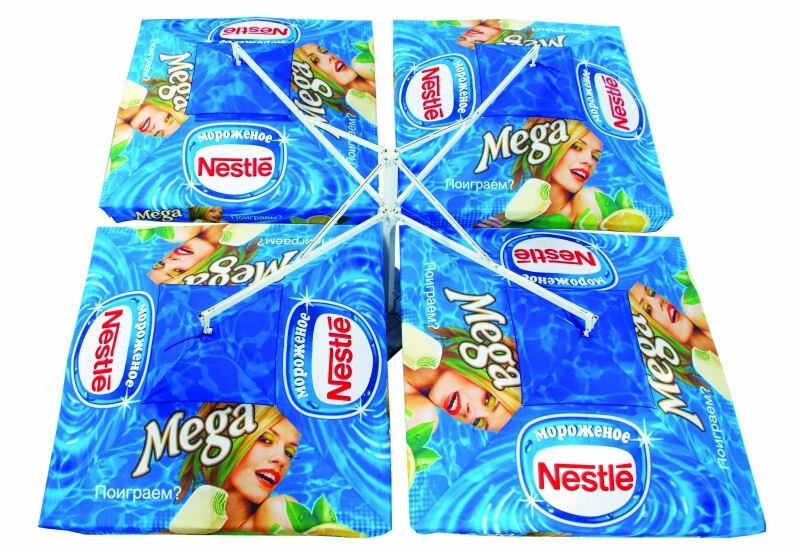 Categories: Cantilever Promotional Parasols, Promotional Parasols: 8-10 Week Lead Time, Über Brolly Umbrellas & Parasols. 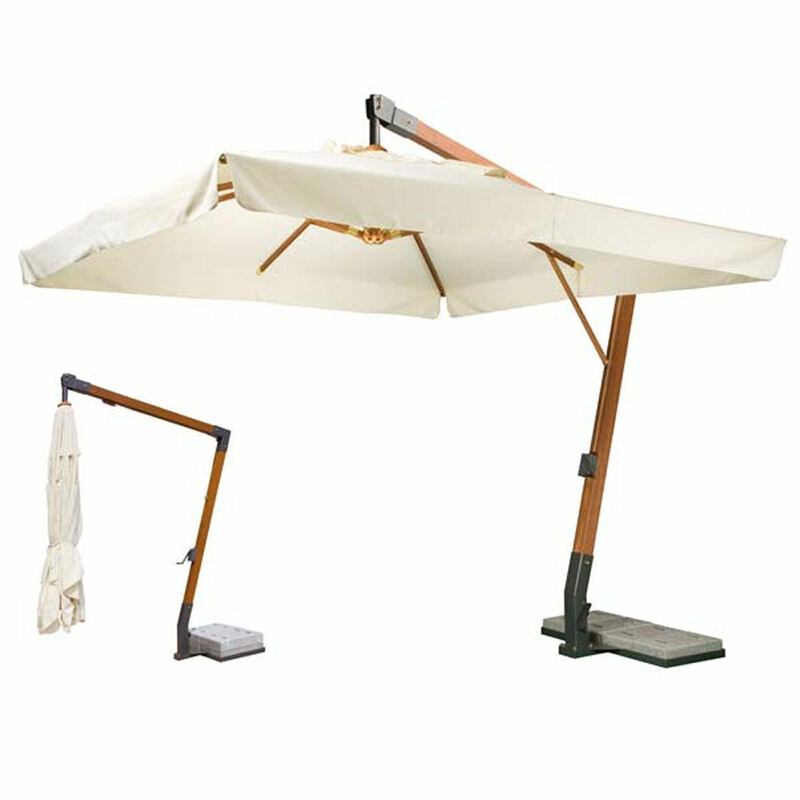 The Über Brolly Quadra Hanging Parasol is our deluxe four-canopy hanging parasol. It is a unique option for those who are looking to cover a very large area and will definitely make a lasting impression. 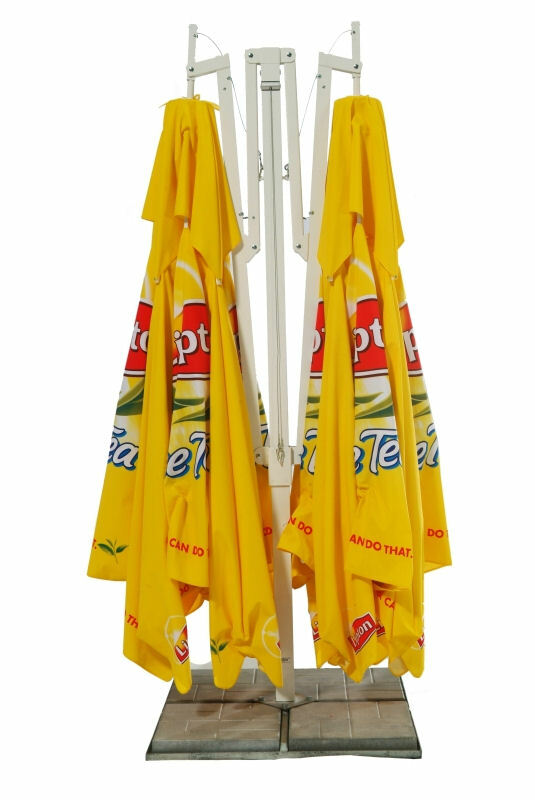 The four separate square parasols hang from four separate arms stemming from a central shaft. This is stabilised by a super strong granite base. 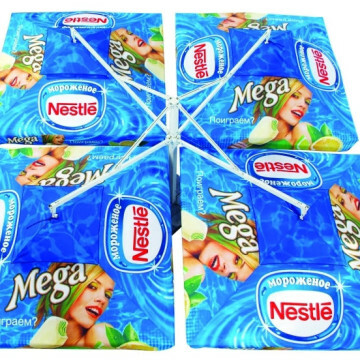 Each of these parasols can be identical in their design or can differ depending on your required look. It comes with an aluminium corrosion resistant frame with strong ribs for excellent rigidity and strength. 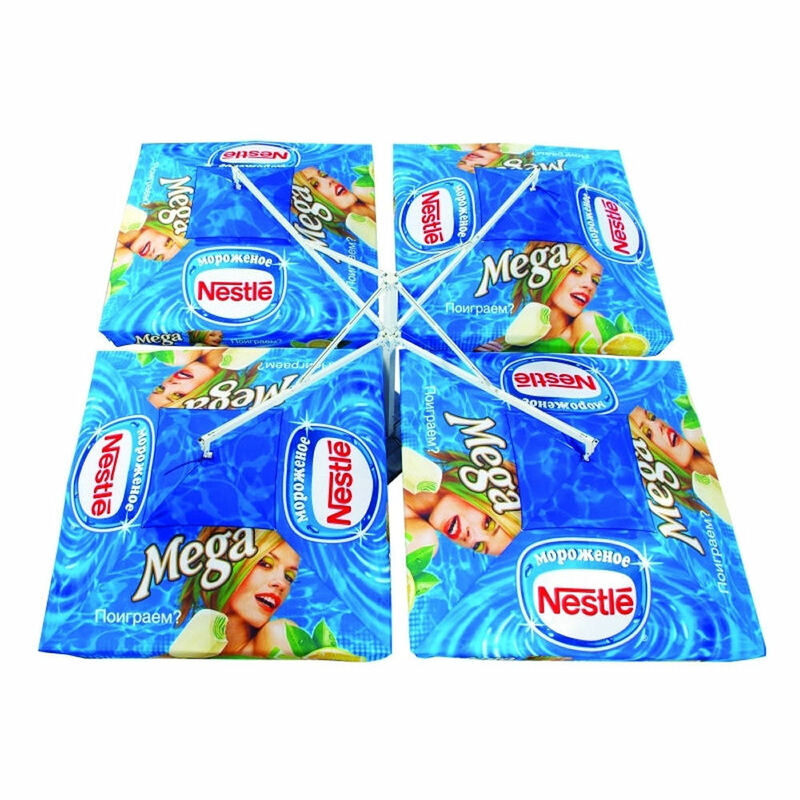 Each of the four square canopies can be fully branded and Pantoned® matched so you have a bespoke final product. 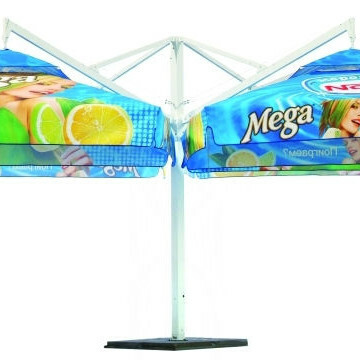 Our hanging parasols are a unique option for those who want to optimise space and require substantial shade coverage. 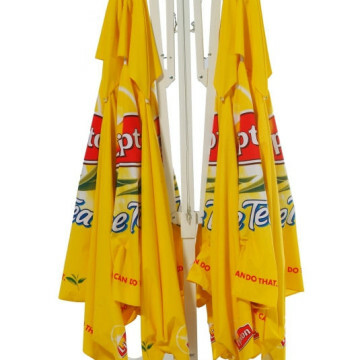 They come with a central pole from which supports 3 square canopies. This means provides a large open space underneath the canopies without multiple parasol poles taking up room. 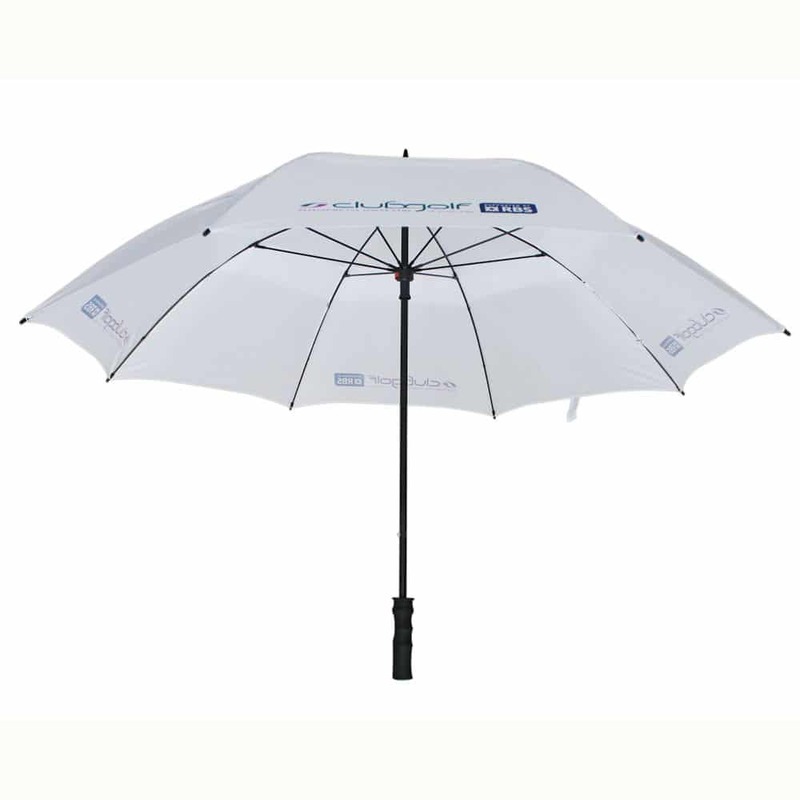 As it is part of our exclusive Über Brolly range, this parasol is supplied with a performance guarantee so you can rely on its quality and durability. If your brand is on a product, you want that product to last, perform and impress. Our FULL PERFORMANCE GUARANTEES give you complete reassurance and peace of mind, a promise from us to you of exceptional quality. 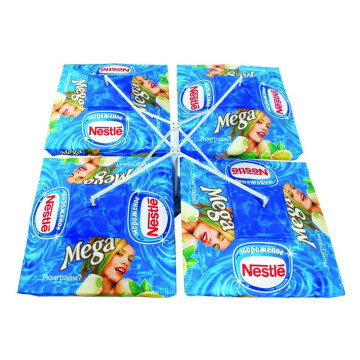 Each canopy has 4 panels in your choice of colour(s) and can be customised with your logo and branding via screen-printing; digital printing is also available for more complicated designs or all-over designs.